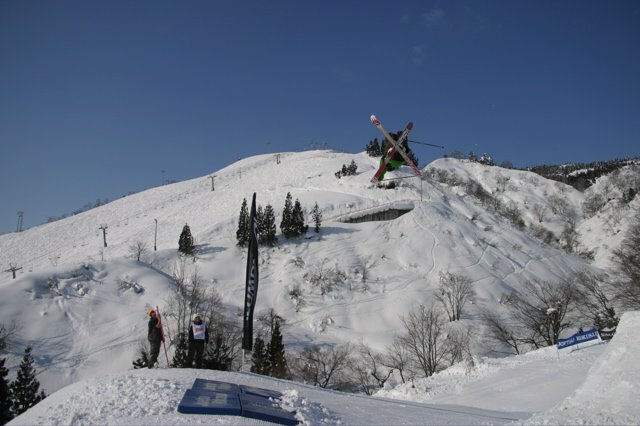 It was a beautiful and sunny day at Joetsu Kokusai Resort in Japan today for the slopestyle portion of the Nippon Freeskiing Open. The resort received eight feet of snow over the last week, and it didn&rsquo;t stop puking right up until yesterday&rsquo;s qualifiers. 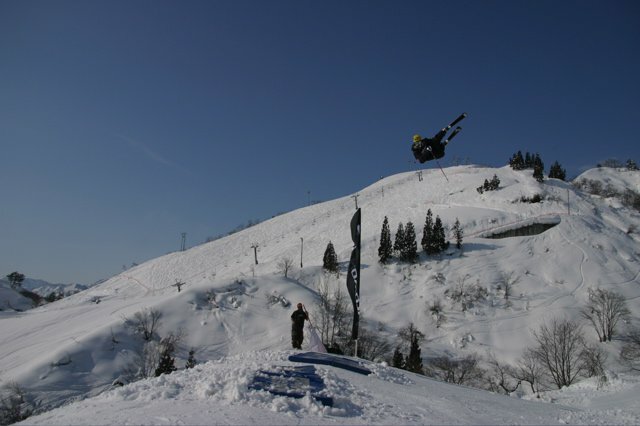 The snow made for a much better slopestyle course than last year, when the resort was begging for snow, but also provided some challenges for the organizers and event director Mike Douglas. 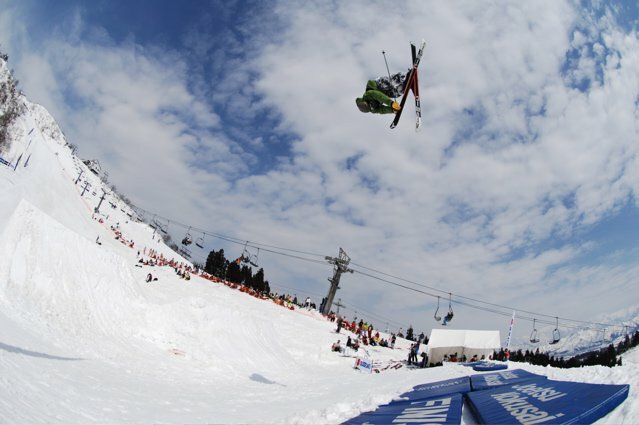 But everyone involved was determined to make the biggest ski event in Asia go off with a bang, and with a deep talent pool throwing down some of the best tricks of the year and a large crowd cheering them on, it did just that. 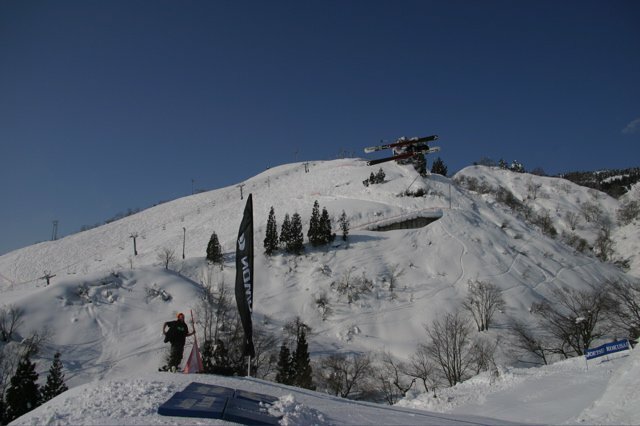 The course started off with a down box at the top into a large step down followed up by a big step over jump which facilitated more doubles than at last year&rsquo;s JOI. 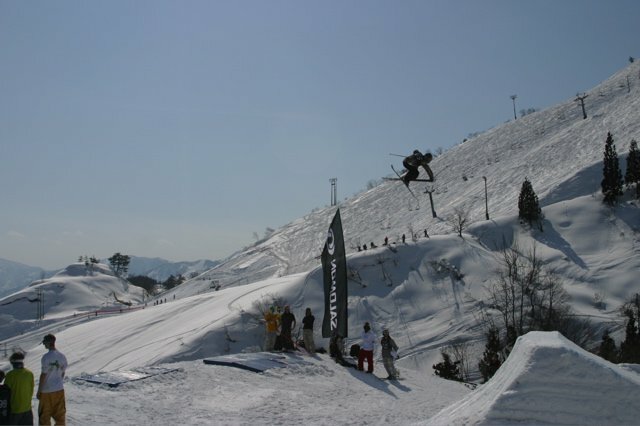 The big jump was followed up by a rail option of a flat down rail on the left or a gap to flat box on the right to end the course. Despite the snowfall over the last week, the course was in immaculate shape (thanks to Douglas and his crew) and posed little to no speed problems for the competitors. 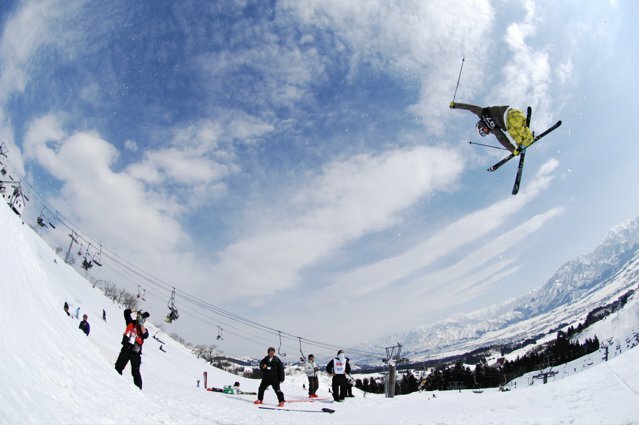 Yesterday&rsquo;s men&rsquo;s qualifiers, which was comprised of mainly Japanese competitors and a few North Americans and Europeans who weren&rsquo;t pre-qualified, kicked off the week under clear skies and good vibes. 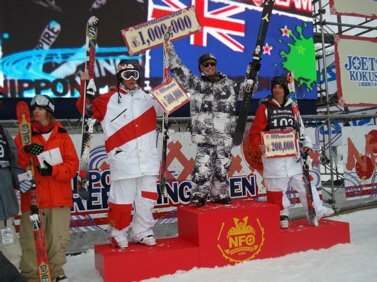 Virtually all of the foreigners qualified, with top notch skiing from Byron Wells, Matt Margetts, Mike Mertion and a host of others, most notably Kalle Leinonen, Ian Cosco and Justin Dorey, who were throwing some of the hugest and sickest double flatspins anyone had ever seen. 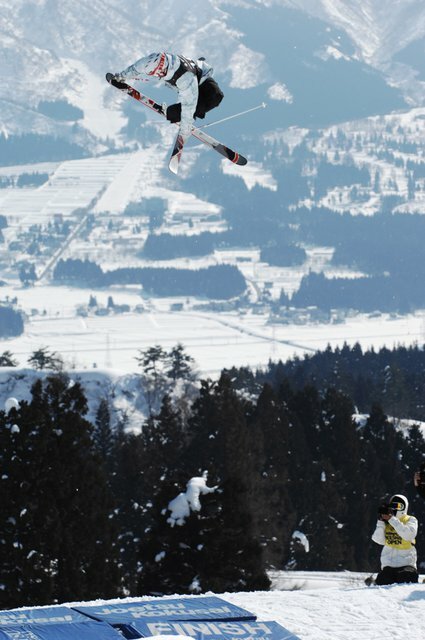 The Japanese competitors also had a strong and notable showing, and have really stepped up their game from last year. 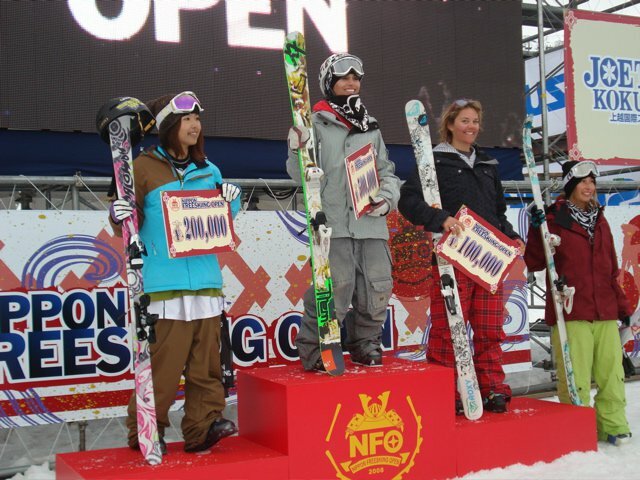 Leading the charge was Kentaro Tsuda (aka switch ten Ken), crowd favorite Yuta Ueno and Japanese ski superstar Shoya Okazaki. 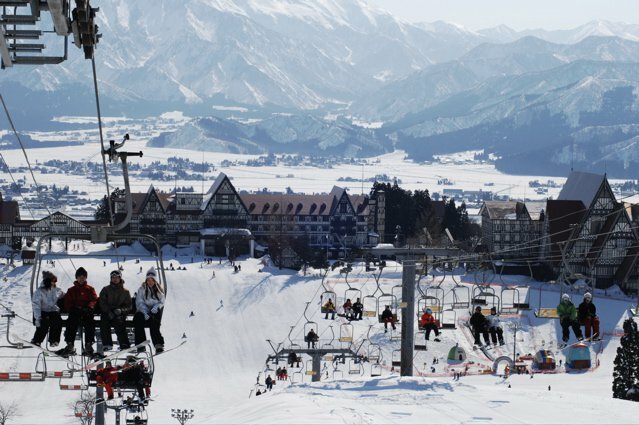 Today dawned bright and sunny with temperatures rising to spring/summer-like conditions, which was unusual for this time of year in Japan (especially considering how much snow had just fallen) but was met with no complaints, as many were stoked to see the sun for the first time at a major competition this year. The ladies started things off this morning with their qualifying round. Much like the men, the field was full of Japanese competitors complemented by a few women from the other side of the pond. 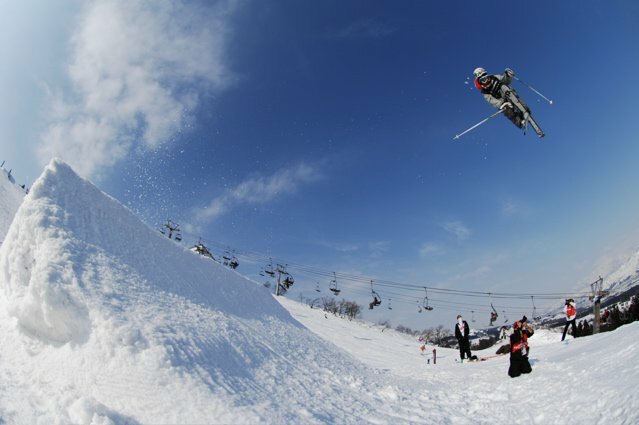 Jen Hudak threw down some big 3 tails and Canadians Roz Groenewoud and Dania Assaly impressed the crowd with their clean 720&rsquo;s while Kim Lamarre oozed style from start to finish. However the largest airs up to that point belonged to Australia&rsquo;s Davina Williams, who was one of the only girls to hit the big side of the second jump during qualifiers but unfortunately couldn&rsquo;t hold it together to make it to finals. 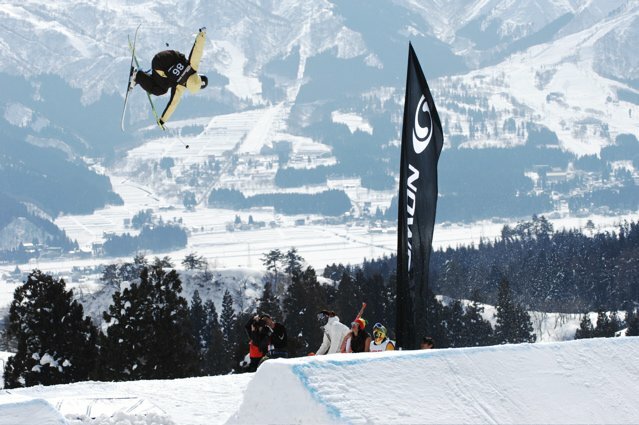 As semi-finals kicked off for the men the doubles fest continued in full force, with more double flatspins from Dorey, Cosco and Leinonen and a couple of death defying double cork 12&rsquo;s from Mike Clarke and Mike Mertion. Canada&rsquo;s own Matt Margetts and Frank Raymond (making a rare appearance outside of slaying urban rails and pillow drops) spent the better part of the day wowing the Japanese crowd with their massive and styley switch 9&rsquo;s.
Also in fine form was Charles Gagnier, who was throwing his textbook switch right and left 10&rsquo;s all day long, and Jossi Wells, which was a feat unto itself considering he had a long travel day yesterday after flying in from Zurich and somehow managing to navigate a series of Japanese bullet trains on his own to get to the resort. Hot on his heels was his younger brother Byron Wells, who is continuing to make a loud splash in the competition pool this year with his huge airs and tight style. Also on the killing it program was AJ Kampainen, who is making a bigger and bigger name for himself at each and every competition he shows up at. And of course, a ski event in Japan would not be complete without an appearance from the smartest and quite possibly most entertaining man in skiing, the illustrious John Symms, who also spent yesterday afternoon killing it on some rental snowblades with counterparts Mike Clarke and Matt Walker, much to the delight of each and every Japanese person who got a chance to scope their dope cork 10&rsquo;s.
John Symms, Mike Clarke &amp; Matt Walker...bladin it! Once the semis were all said and done 12 men and 12 women moved onto the finals. For the women it was Maiko Hara, Roz Groenewoud, Dania Assaly, Amy Sheehan, Jen Hudak, Anna Segal, Sarah Burke, Kim Lamarre, Chika Yokoyama, Ami Okubo, Kana Tanno and Ashley Battersby. The men&rsquo;s semis saw a little bit of judging of controversy as Justin Dorey just failed to make finals and John Symms scored way lower than most thought he would. 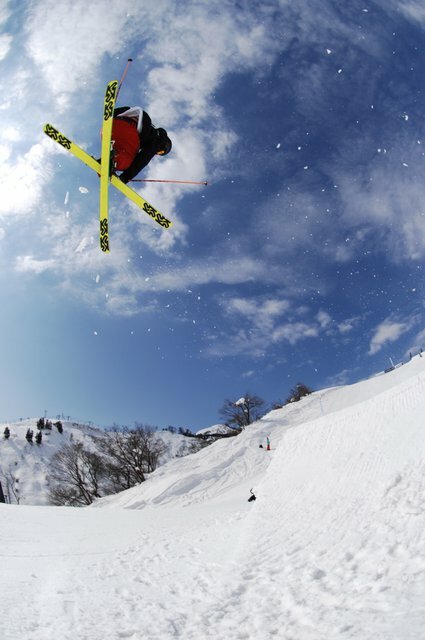 In the end, Aleksander Aurdal, Yuta Ueno, Mike Clarke, Ian Cosco, Kalle Leinonen, Matt Walker, Kentaro Tsusa, Satoshi Yamashita, Xavier Bertoni, AJ Kampainen, Charles Gagnier and Jossi Wells made up the top 12 that would vie for skiing&rsquo;s top prize in Japan. The women went first, with more huge 7&rsquo;s from Groenewoud and Assaly and a styled-out 540 to zero spin from Lamarre. 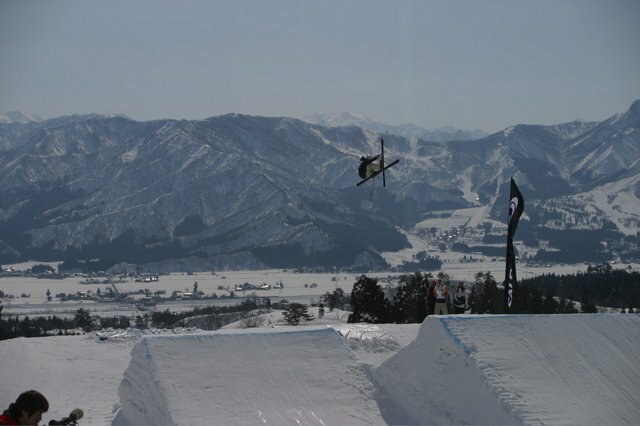 Maiko Hara from Japan started hitting the big side of the second jump, and was going so huge on her 540 that some of the guys wondered if it was actually a guy dressed in drag. 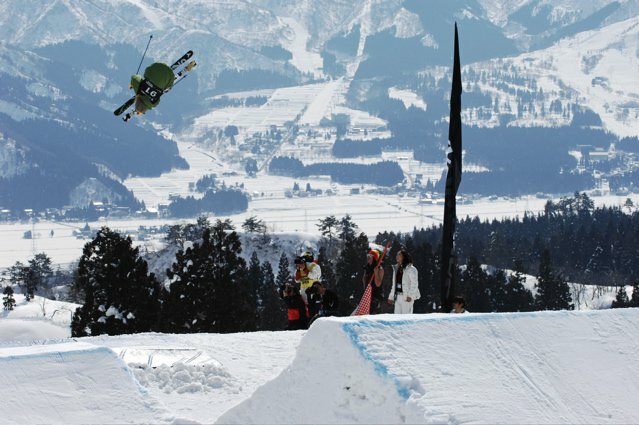 Australia&rsquo;s Anna Segal also opted for the big side, throwing down a nice 540 that pleased the judges. 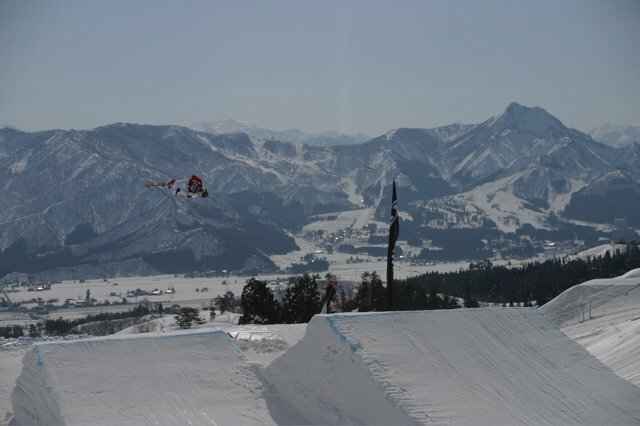 Sarah Burke also put on a great show (like she always does) with a nice switch 5 to cork 9 off the bottom hit. 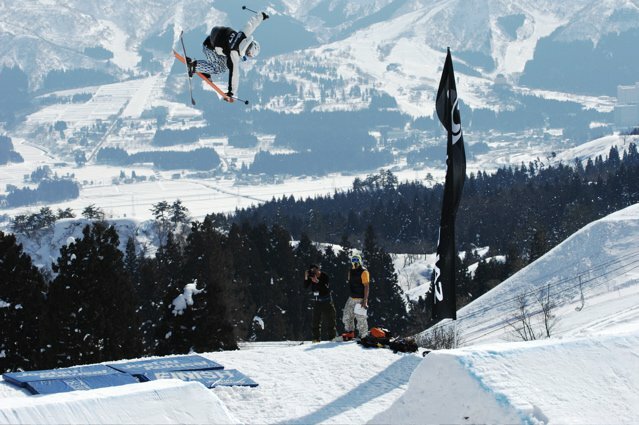 But in the end, Ashley Battersby continued her dominance of this winter&rsquo;s slopestyle circuit. 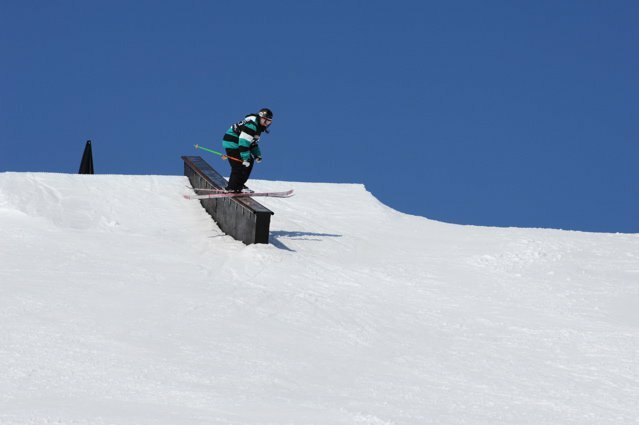 Battersby, who spent the better part of training struggling with whether or not she should hit the big jump and crashed hard on her first run, shook off the mind games and not only hit it, but threw a huge switch 7 in the process. And when it was all over, she was rewarded accordingly and took home the top spot followed by Maiko Hara in second, Dania Assaly in third and Anna Segal in fourth. Next up was the men, and although the sun disappeared behind the clouds for their portion of the finals the good vibe amongst the crowd and competitors didn&rsquo;t. Local favorite Yuta Ueno kicked things off with some dope cork 7 nose grabs where he grabbed both tips in one hand. 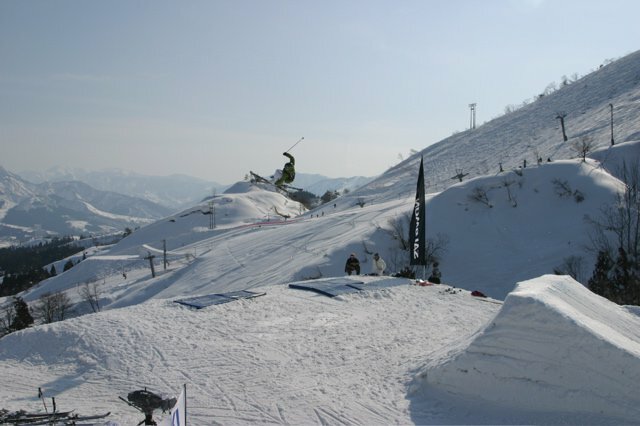 The doubles game then continued as three of the first six competitors (Clarke, Cosco and Leinonen) continued to slay the bottom jump with their variations. Matt Walker put in a strong showing as always, and France&rsquo;s Xavier Bertoni and Finland&rsquo;s AJ Kampainen also put down solid runs. It seemingly all came down to the top two qualifiers though, Charles Gagnier and Jossi Wells. 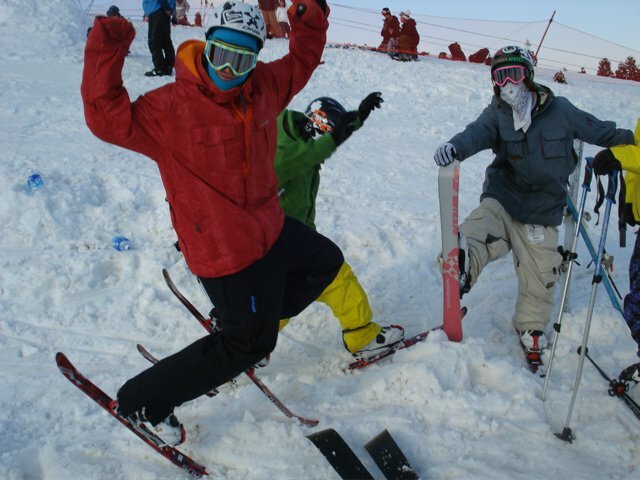 Mike Clarke was undoubtedly on top of the leader board after stomping his flawless (and grabbed) double cork 12 (cork 7 blunt to cork 5) so the top two knew they had to step it up. Charles brought his A-game with a switch left cork 10 mute to switch right 10 octograb followed by some switch-up trickery on the bottom rails. Jossi answered with a switch right and left ten of his own, but put an exclamation mark on his imminent victory with a switch disaster 630 onto the flat-down with a blindside 270 out. In the end, Jossi deservingly took home the top spot, continuing to dominate the men&rsquo;s competition circuit with more medals this year than any other athlete. Rounding out the podium was Mike Clarke in second, Charles Gagnier in third plus Matt Walker in fourth. It&rsquo;s party time now in Japan as heaps of sushi, sake and the karaoke bar await. 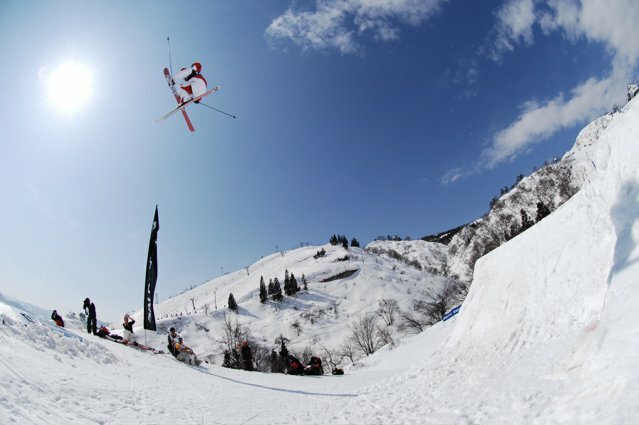 Tomorrow we can only hope that the sun will keep shining for the superpipe qualifiers and the surely not to be missed nighttime big air. 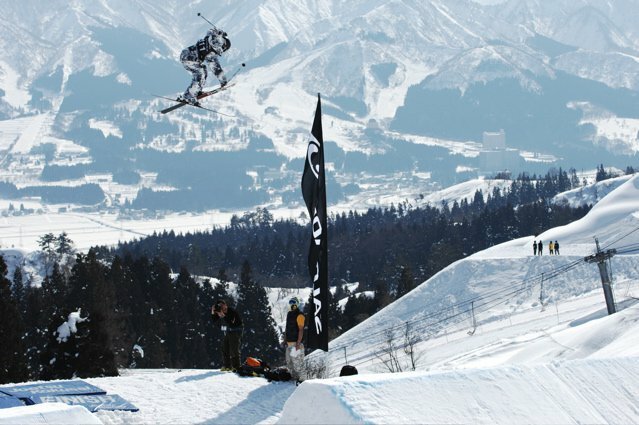 Stay tuned to NS for full coverage of Japan&rsquo;s biggest ski competition, complete with a broadcast of the big air and pipe events. 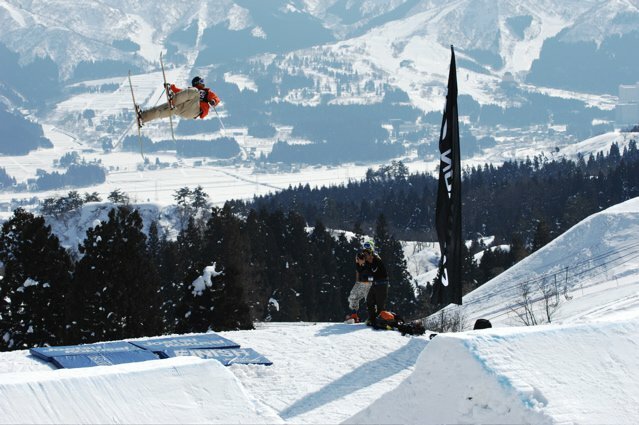 We will also have a full broadcast of the slopestyle available for you in the coming days. Cheers.